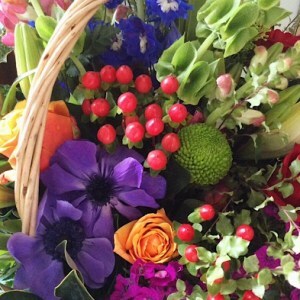 Simple and traditional, floral baskets make a lovely gift for any occasion. 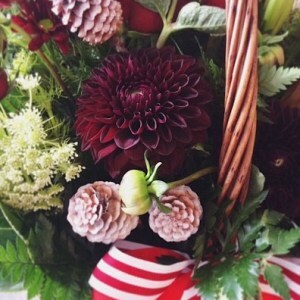 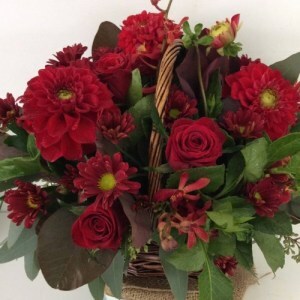 The basket is lined with cellophane and filled with floral foam (oasis) into which the flowers and foliage are arranged. 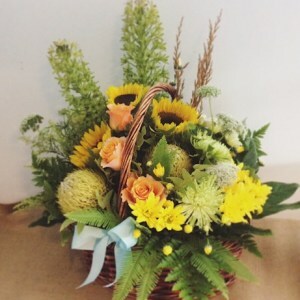 The most popular style of flower basket is the “cottage” style, made into a trug and designed to look as if the flowers have just been gathered from a garden or meadow. 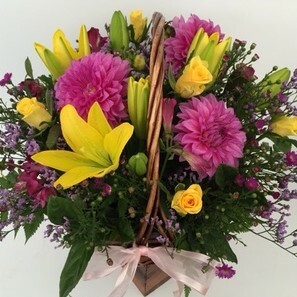 The added bonus of a flower basket is that the recipient has a wicker basket to keep after the flowers have played their part.